Any facility-acquired bedsore if not treated immediately has the potential to progress to a life-threatening condition causing the wound to become opened exposing muscle, bone, and tissue. Because of that, the nursing staff is required to follow procedures and protocols to minimize the potential development of a bedsore, especially in residents who are at high risk for skin breakdown. Unfortunately, the Chicago elder abuse attorneys at Rosenfeld Injury Lawyers LLC have represented many nursing home residents who have suffered or died due to a facility acquired bedsore that could have been prevented had the staff followed proven protocols for care. Nursing home regulatory agencies managed by the federal government require every nursing facility to conduct ongoing assessments of all residents upon admission and at intervals to continually reevaluate the risks of developing bedsores. Medicare and Medicaid classify every bedsore as preventable unless it can be determined that the sore was “medically unavoidable.” However, even unavoidable bedsores can be managed by teams who are specifically trained to handle open life-threatening wounds. The nursing staff must identify specific risk factors of the resident’s skin, develop an effective care plan that provides guidance to the nursing staff. Often times, this requires the assistance of repositioning the resident’s body to alleviate pressure to avoid a restriction of blood flow, oxygen, and nutrients to the skin and underlying tissue. 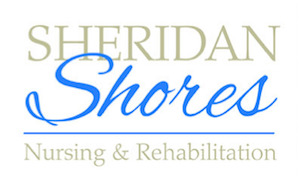 In addition to skilled nursing care and rehabilitation services, Sheridan Shores offers in-house services that include: radiology, pharmacy, dentistry podiatry, and ophthalmology. To ensure that its national nursing home database remains current, the federal government routinely updates information involving recently opened investigations, filed complaints, health violations and safety concerns at every facility throughout the United States. The information is then posted on numerous websites including Medicare.gov through its comparative analysis star rating summary tool, used by families to make well-informed decisions about where to place a loved one in a nursing facility in their community. The investigator noted that the resident’s “Care Plan goal still documents [that the resident] will be free of skin breakdown and infection with a target date of 08/12/2015”, which is nine months in the future when the document was being reviewed. If your loved one has developed a facility-acquired bedsore while residing at Sheridan Shores Care and Rehabilitation Center, or any other Illinois nursing facility, Rosenfeld Injury Lawyers LLC can provide various legal options to hold those responsible financially and legally accountable. Our Cook County elder abuse attorneys can investigate your case for compensation to ensure your family receives the financial compensation they deserve. 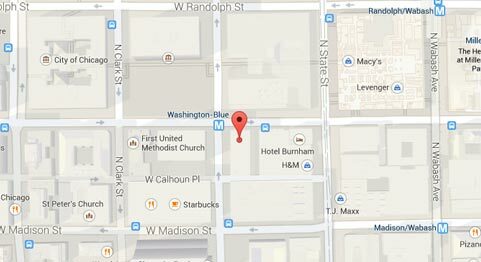 Contact our Chicago Illinois nursing home abuse law firm today at (888) 424-5757 to schedule a free full case, no obligation evaluation to determine the merits of your compensatory claim. We handle all personal injury cases through contingency fee agreement so no upfront payment is required.